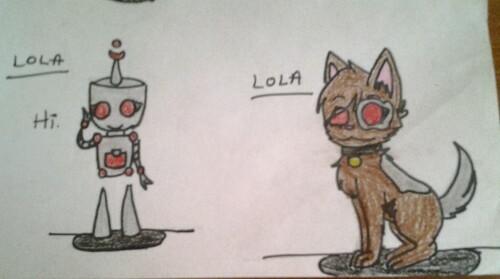 robot and pet lola. Im not sure about her colors... I think im going to change them :T (the dog) sorry that its blurry and stuff my tablet wants to be a Turkey licker >:'T. HD Wallpaper and background images in the Invader Zim FanCharacters club tagged: invader zim.